When you need to program transponder car keys, you many need an automotive locksmith assistance. Today, most of cars need a programmed transponder chip key in order to start the car. However, in some cases, especially with GM cars, the actual chip is located in the ignition lock, instead in the head of the key. That means, you have a basic key, but the electronic chip is inside the ignition lock. When your existing transponder key stop working and don’t turn your car, you should see the anti theft light blinking on your dashboard consul. The light might be at the colors of green, red, or orange, marked with a symbol of lock or key. When this light starts blinking, you should know that you have problem with the anti-theft system of your car. Because you’ve lost your car and you want to make a new key to your car. When the existing transponder key of your car stop working and won’t start your car. When you lose automotive transponder key, it isn’t enough to cut a new key to your vehicle. If a locksmith didn’t program the transponder key to your vehicle, you’ll be able to turn the ignition to ON, yet, it won’t start the car. Programming a new key to your vehicle make the computer of your car recognizing it. They becomes a pair. Immediately after ending the programming process to your new car key, the anti theft light should turn off, and the car should start. We have all the necessary programming machine and advanced diagnostic tools in order to program car keys with no hassle. Our auto locksmiths available 24 hour to help you with emergency locksmith service when you stuck on the road. Whenever you need to troubleshoot your computer chip key, we’re able to do it for you. In addition, for the purpose of helping you on the road, we’re also mobile locksmith services. 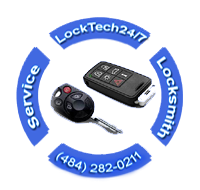 When you need emergency auto locksmith to program a new key to your car, call us any time, day or night. Our local automotive locksmiths serve Bethlehem, and the entire Lehigh Valley, PA. Any time in needs of professional automotive locksmith, we’re here to help.